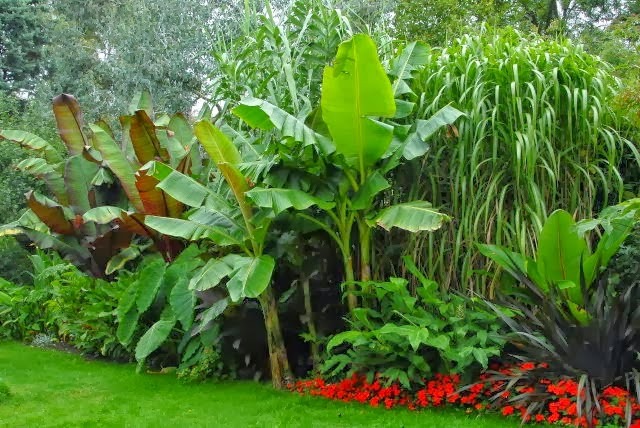 If you live in a cool temperate, northern European climate but want to evoke the tropical look of banana plants in your back garden then you are in luck. Several of the hardiest banana species found so far are now available under the 'Rare and Exotic Plants' range at the 'Seeds of Eaden' Seed shop. The hardiest species is the 'Tough as Old Boots' Musa basjoo, but don't confuse cold hardy with frost hardy as there are no banana species will be able to tolerate a proper freeze and survive intact. 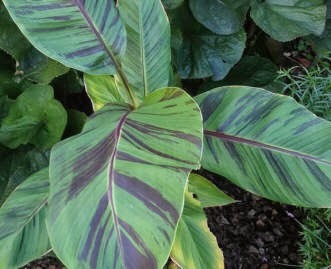 However Musa basjoo is root hardy which means that while the lush, exotic foliage may well die back over the winter, fast growing shoot will appear in the spring once the soil warms up. Unfortunately it is not possible to obtain Musa basjoo seed and so pot grown stock is your only option. 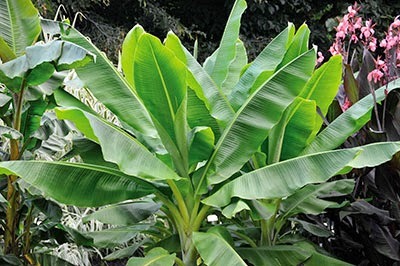 Second in line in hardiness is the far more ornamental Musa sikkimensis. Native to the mountains of the Himalayas it is one of the highest altitude banana species discovered which goes a long way to explain how it copes so well with our miserable British winters. While Musa basjoo with survive all-year-round with little looking-after, you need to protect Musa sikkimensis by keeping the roots as well mulched and as covered as possible. 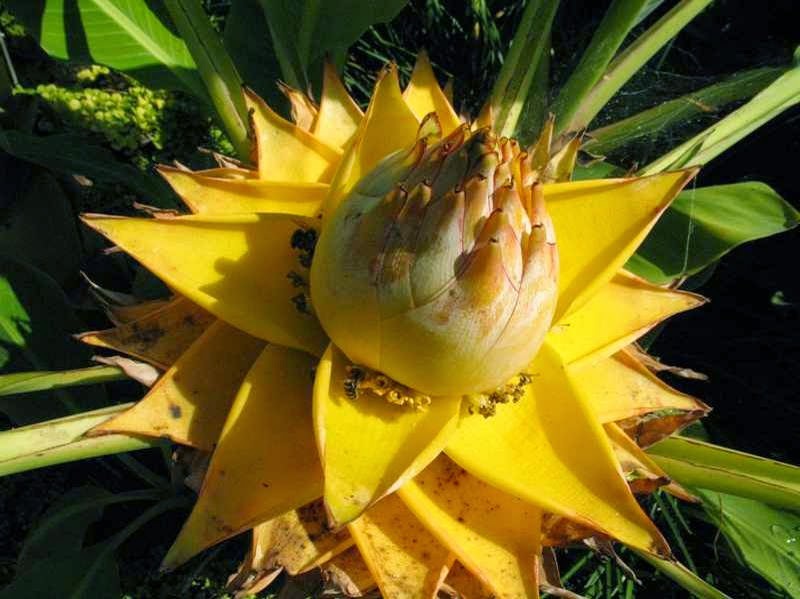 Musa sikkimensis seed is available. The third offering is the rarely seen Chinese dwarf banana - Musa lasiocarpa, recently renamed as Musella lasiocarpa. It is native to mountainous areas of the Yunnan Province in China where it typically grows to 6' tall. Be that as it may it is actually grown for its flowers which resemble a lotus just prior to flowering. Like Musa sikkimensis, you will need to overwinter Musella lasiocarpa by keeping the roots as well mulched and as covered as possible. Musella lasiocarpa seed is available. The Hardy Snow Banana - Ensete glaucum, is native to the mountainous regions of China and Nepal and will grow between 15 and 20 ft tall. It produces massive pendulous, white flower heads and given the right conditions it will also bear numerous 5 inch long fruits. Again, keep the roots well mulched and covered as possible over the winter.